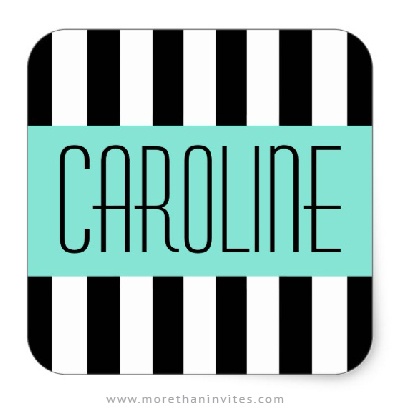 Modern name stickers featuring a pattern och black and white, vertical stripes. Across the front is an aqua blue panel with customizable text. Add a name or other short text. Stylish and trendy design for women. Available from Zazzle. Also available in other colors.